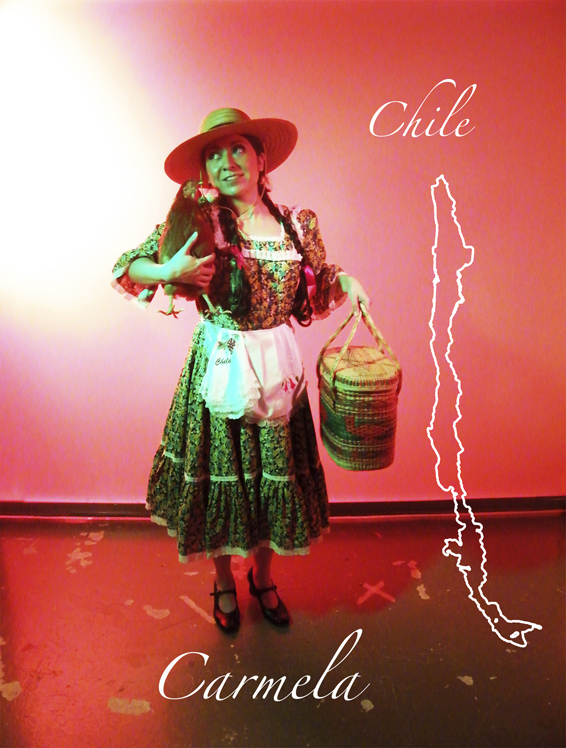 Carmela is a folkloric character of my country, Chile. A cultural representation of a peasant girl that moves from the countryside to the city, used by me as a metaphor to represent the voyage of an artist from the 'periphery' to European cultural centres in order to get the recognition of artists. The journey seen as an unequal transaction can be offset by the fact that I return home with a bag full of cultural souvenirs.